Mother’s Day only comes around once a year and is quickly approaching. Moms do so much for their children and it is this one day that's all about her. 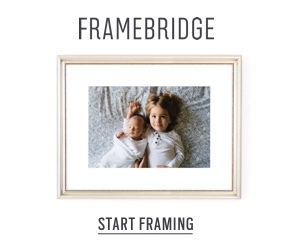 This year treat your mom to a creative and unique gift from Framebridge. Framebridge makes these tangible reminders not only possible but beautifully simple to gift. A company that has thought of every detail so you can just enjoy the end result. No more printing photographs and then hunting down the perfect mat and frame. Upload a digital file. If needed they will send you a secure prepaid envelope. Your frame will be built in 2-5 days. Then it will be shipped at no cost. Here are a few frame designs to help get you inspired. 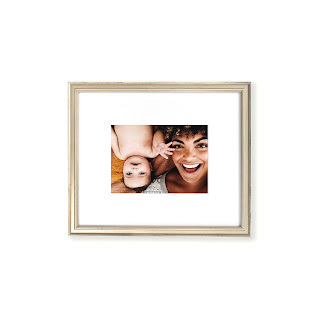 For guaranteed delivery by Mother’s Day, order photo gifts from Framebridge by May 6th. This is a gift that my mom would love. I need to look into this place for her gift. Some good gift ideas and perfect as mothers day gifts would be so happy yo get one of them. Great sentimental idea for a gift. What a great way to treasure memories forever! Love this. Pictures make excellent gifts! I love that they offer an all-inclusive service. As you said, it can be difficult going through prints and trying to find a frame that is properly formatted. Oh how lovely, this would make an excellent gift! Such a good way to treasure special memories. Lovely! Mothers ALWAYS love photographs! Framebridge has so many wonderful options! Love that store. A great gift idea. 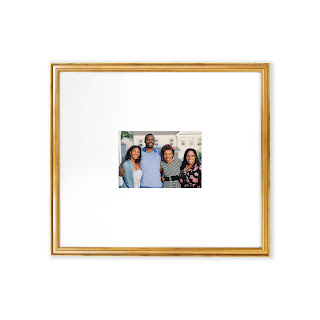 What mom wouldn't love a new picture frame to show off her kiddos!! Such a touching gift to give on Mother's Day. There is nothing more precious than memories. That's a beautiful gift idea. I would love to gift this to my mom this mothers day. I was thinking of buying photo frame and add photo collage for my mom on mothers day but I did not have the time so I bought her a watch instead. These frames look nice. Maybe I will do it on her birthday. This is an awesome gift idea! It's always something simple and meaningful that means the most. Great gift idea! I love photos and new photo frames and change them out all of the time. I'm always taking pictures and frames that are unique or different always catch my eye.